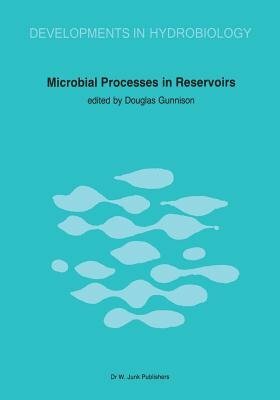 The idea of producing a book on the activities of sence of bottom versus surface withdrawal all have microorganisms in reservoirs had its origins in an a bearing on microbial processes. In addition, res- article published by the editor in ASM News (De- ervoirs are often constructed in areas where there cember 1981, 47:527-531). Many individuals ex- are few, if any, natural lakes . In this regard, reser- pressed an interest in having the article expanded voirs are also often distinct from natural lakes, and into a book on this subject. Several people were that meteorologic, hydrologic, geo- to the extent contacted and asked if they would be willing to logic, and edaphic factors make a difference, reser- contribute chapters to the book. The interest dis- voir microbiology will also be different. Finally, the played by many persons outside the area of reser- creation of a new reservoir offers the sediment voir microbiology was encouraging, as was the in- microbiologist a unique opportunity to view the spiration of the contributors themselves. We were transformation of terrestrial environments into subsequently approached by Dr. L. Harold Steven- aquatic ecosystems.